Phase One: Who We Are (November-December, 2018) – Re-Affirming, through personal stories, the origin and philosophical underpinnings of taking tribal control of Santa Fe Indian School to ground ourselves in the SFIS tradition. Phase Two: Where We Are Now (January - April, 2019) – Based upon who we are (Phase One), identify and analyze data – both quantitative and qualitative – to understand where we are today. Phase Three: Where do We Go Next and How do We Get There? 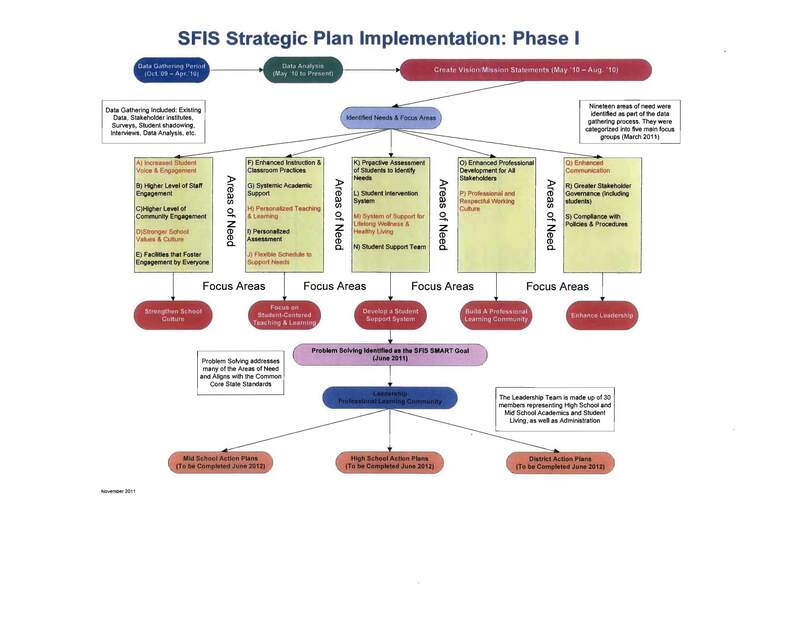 May-June, 2019) – Based upon who and where we are (Phases One and Two), gather stakeholder input on data-informed best next steps to inform a strategic action plan for the next 5 – 7 years, which will be monitored through continuous school improvement.